Following yesterday’s launch of MyHeritage DNA, we’ve received a lot of positive feedback, and many questions about the new service. Genetic genealogist CeCe Moore brought some of these questions to our attention and others were posted on social media. 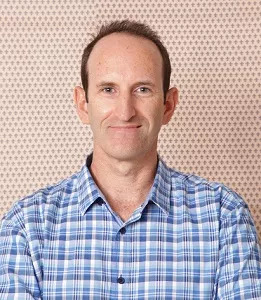 We’re delighted to bring you an interview with MyHeritage’s Founder and CEO, Gilad Japhet, who candidly answers the questions and provides more information. Q. Which DNA lab are you using? A. We’re using the Gene by Gene lab in Houston, Texas, which also processes the Family Tree DNA tests. When we set out to select an appropriate lab, we visited several DNA labs in the USA having the highest reputation. We selected the lab that impressed us the most. Q. What type is your DNA test? A. Our test is an Autosomal DNA test. Q. Will MyHeritage DNA offer mtDNA and Y-chromosome tests? A. Probably not, but we’d like to keep all options open. Q. What chip does MyHeritage DNA use? A. We currently use the OmniExpress chip by Illumina. It covers about 700,000 SNPs. We may change the chip in the future. Q. Isn’t that the same chip used by another product called Family Finder offered by Family Tree DNA? A. Yes. However, these are two totally different products. We develop our own analysis of the data and our own reports, so the outputs of the two services are different and the pools used for matching users are separate. The chips being the same is in fact an advantage for genealogists, because exported data files from MyHeritage DNA are compatible with those of Family Finder. Q. Do you have to buy a subscription to build a family tree and look at your DNA results? A. No. Looking at DNA results is free. Building a family tree is free, up to the size of 250 individuals. From that size onwards you will need a subscription. You can use our free Family Tree Builder software to build a larger family tree of up to 500,000 people free of charge, if you keep it on your computer without syncing it. However, a synced tree is better because it is backed up online and gives you Smart Matches, Record Matches and Instant Discoveries. We will soon offer a special bundle of our Complete subscription for one year, together with our DNA test for a low price that is half the equivalent price of our main competitor. Stay tuned for a separate announcement about this. Q. Does MyHeritage share your DNA results with other companies? A. No, we don’t. See a good discussion about this by the Legal Genealogist. We do have an informed consent that gives us more freedom to use the DNA results for scientific research and that may include sharing of aggregated data, but it is optional and not mandatory. By contrast, if we understand it correctly, the competing service AncestryDNA has mandatory terms of service that require you to consent to letting them transfer your DNA data to whomever they want. They assert a perpetual and transferable license to your DNA. When you test with MyHeritage and accept our terms, you are not granting us a perpetual license and you can delete your DNA data and revoke it whenever you want (deletion is permanent), and you are also not granting us the right to transfer your data to anyone. The bottom line is that your DNA will be safer with us, than with Ancestry. Q. 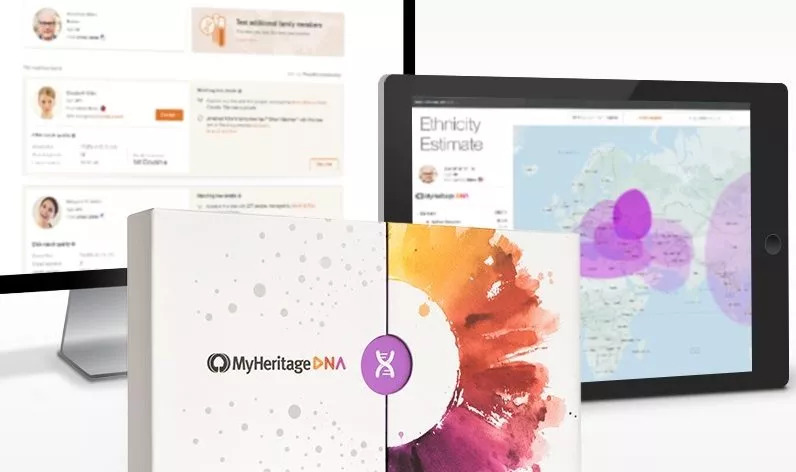 Is MyHeritage giving away more testing kits to existing members? A. We are giving 1000 DNA kits for free as part of a pro bono humanitarian project in Israel. We have already given 5000 more DNA kits for free as part of our Founder Population project. We won’t be giving away large numbers of kits for free, except perhaps for some users who are already on the waiting list on our Founder Population project, in case we will need more data of particular ethnicities. DNA tests have very real costs, so it is unusual to receive them for free. However, we have a soft spot for helping people whenever we can, and so we “reserve the right” to give some DNA tests for free in specific cases according to our judgement, especially when it comes to humanitarian causes. Also, the folks from our marketing team have told me that they will be running some contests on our blogs, webinars, and other social media channels to give people the chance to win free kits. Q. Will more competition in the market bring lower prices? A. This is what typically happens when competition increases in any market. We expect this to happen in DNA too, which is why our entry into this space and the emergence of additional competitors is a blessing for the customers. More competition results in lower prices, more tools, and faster evolution of technology and features. Companies fight harder to win over the customers. You can count on MyHeritage to do its best to invent and to innovate, which will push the whole DNA ecosystem forward. You can also count on us to distribute DNA kits globally thanks to our wide international reach, existing user base of 85 million users and support for 40+ languages. This means more international users will be tested thanks to our efforts, resulting in more matches for users who have relatives living in other countries. We also like partnering with other companies. We’ve been partners with 23andMe and are partners of Family Tree DNA. You can count on us to partner with additional companies to benefit our users and theirs and the DNA community as a whole. Q. Can we upload raw data from 23andMe or AncestryDNA, so we don’t have to take another test? A. Yes. If you have tested on 23andMe, AncestryDNA or FamilyTreeDNA, you can upload your DNA data to MyHeritage for free (via the DNA tab on your account profile on MyHeritage) and get free matches with other users like you and with users who purchase the MyHeritage DNA kit. Disclosure: if you upload your data this way, and all you want are matches, there’s no reason for you to also purchase the MyHeritage DNA test. We’d love to have you as a paying customer but honestly, if you’re interested in more matches and you’ve already tested elsewhere, you don’t have to test again with us — you can get free matching by uploading your DNA data. Buying the MyHeritage DNA kit does have some advantages: it will give you access to all our ethnicity reports, and new features we will develop in the future. It will also entitle you to premium customer service. Q. How does MyHeritage match between users who tested on different services? A. MyHeritage takes uploaded data and extrapolates the SNPs to a common ground. This is a process called imputation. Using this method MyHeritage can match any kit currently on the market or previously distributed including 23andMe’s V4 and Ancestry’s V2 chips (as well as earlier versions) and of course MyHeritage DNA. Imputation may introduce errors so we are in the process of fine-tuning it. Q. Will MyHeritage DNA have a tree interface like Ancestry and identify common ancestors in family trees? A. We are working on pointing out DNA Matches sharing the same ancestral surnames (even if spelled differently but are phonetically equivalent) or the same ancestral locations in the two family trees of both sides of the match. This will be available very soon. As for identifying common ancestors in family trees – this is desirable and will take us more time. Q. Can I get an ethnicity estimate by uploading my raw data from another company, or do I have to buy a new kit? A. Our current thinking is not to provide our ethnicity features to users who upload raw data from another company for free (but only provide free matches in that case). However, we may decide to provide basic ethnicity reports for free even for data uploaders, and reserve the more advanced ethnicity reports (those based on our Founder Population project) to the users who purchase the MyHeritage DNA kit. Q. Will MyHeritage provide haplogroups? A. This is our intention, but we cannot give an ETA yet on when this will be available. Q. What is the draw to get people to test at MyHeritage and add another database that everyone needs to get into, especially adoptees? A. For adoptees, the low price point and the support and handholding we will provide are important. For adoptees who have already tested elsewhere, we recommend exporting their data and importing it into MyHeritage, so they won’t have to pay anything extra. This capability doesn’t exist on AncestryDNA or 23andMe. There, you have to buy another kit; with us you don’t. Q. I’m an adoptee and I already uploaded my DNA data to GEDmatch. Is there a reason I should upload my data also to MyHeritage? A. Yes. MyHeritage has a large number of DNA users who are not found on GEDmatch. This is particularly the case with 23andMe users. MyHeritage and 23andMe had a partnership and integration for 2 years and this has led to many 23andMe users having family trees and, later on, their DNA data on MyHeritage, but not on GEDmatch, and you can match against them by uploading your DNA data to MyHeritage for free. Q. Who worked out MyHeritage DNA’s matching algorithms? Are there scientists working on it? A. MyHeritage engineers and bioinformaticians. We are very proud of what we have achieved in a relatively short time frame, and are constantly working on perfecting it. When compared to companies that have been on the market for many years, initial results of our Beta may seem wanting, but we are now out of Beta, improving very quickly and believe we compare very favorably to any other company in its first DNA stages. We are extremely experienced with matching, and many users find our Smart Matches, Record Matches, Book Matches and Newspaper Matches to be unique and better than competing services. We are planning on utilizing this expertise with DNA Matches as well, so you can expect significant improvements in short development cycles. We also plan on using DNA Matches to supplement Smart Matches and Record Matches in innovative ways. Q. Which countries is the test offered in? A. MyHeritage DNA is currently offered in all countries worldwide except Israel, the state of Alaska, and a few French island territories. In the restricted regions mentioned there are some legal challenges related to DNA, and although distribution of DNA is not explicitly prohibited in some of these cases, or in other cases limited only to specific age groups, we prefer to avoid any potential issues. Q. After testing with MyHeritage, can users download their raw DNA data? A. Yes. If you need any help, feel free to call or email our support team. Q. Is the MyHeritage test compatible with GEDmatch? A. Yes. Any user will be able to export the DNA data and upload it to any website of his/her choice, including GEDmatch. Because of the chip we’re using, they should be able to process the results from day one. Q. Will MyHeritage have a chromosome browser? A. Yes. It’s planned in about 3 more months. Some companies consider a chromosome browser to be too technical and refuse to provide it to their users as a principle. We, however, believe that whatever users consider to be a very important feature, we should strive to provide, and the fact that this tool may be more beneficial to very savvy users and not millions of mainstream customers is not seen by us a reason to not provide it. Q. Will there be sales offered on DNA kits? A. The MyHeritage DNA kit is now offered at a sale, at the introductory price of $79 (in the US) plus shipping, instead of $99. It isn’t going to stay at this price for long, and its price will go up when we complete the initial launch. Special sales are planned for combined bundles of the DNA kit plus a MyHeritage subscription. Q. When is MyHeritage going to charge for DNA uploads and matching? A. It’s not a question of “when” but a question of “if”, but if we decide to charge for it, the timing for that is not yet known. However, we guarantee that whoever uploads now, will receive the matching functionality for free permanently, even if we start charging others for upload. We recommend that folks hurry up with data upload, to take advantage of it being free for now. Q. How long does DNA Match processing currently take? A. We’ve written about this previously but it’s worth repeating here. The first processing round took us nearly 3 months as we built the infrastructure. That was way too long! Then it was improved to around two weeks. We are currently calculating matches every week and the process will become daily in the next few days, and possibly close to real-time in the future. Q. Will Family Tree DNA continue their relationship with MyHeritage? A. Yes. Please note that on Geni.com, which we own and operate, we will soon start selling MyHeritage DNA kits, and we plan on continuing to sell Family Tree DNA kits on Geni, especially the Y and mtDNA tests. Geni also enjoys a product integration with Family Tree DNA. Q. I already had DNA matches on MyHeritage but the number dropped recently – why? A. On November 3 we went out of Beta and re-calculated all matches again with improved algorithms. Matches which we now consider as false positives have been dropped. We left only a few behind in cases where the two users on both sides of the match had communicated with each other using the MyHeritage inbox, and marked them as “not related”. Our matching is much better now, but we don’t consider it perfect. We are working on additional improvements, and as a result of those improvements, further changes will take place. Q. What are the next steps with MyHeritage DNA? A. We have an extremely exciting product roadmap that we are rigorously implementing, which we believe will have genealogists thrilled. We have features to catch up with that you have seen elsewhere and are expecting us to bring you, and we also have new ideas of DNA features you have not seen anywhere else that we’d love to share with you soon. We hope this answers many of your questions, and we are happy to take more questions and also welcome your feedback and suggestions. In case you’d like to order a kit now, please head over to MyHeritage DNA. Thank you! I’m so excited by the MyHeritage DNA test being offered. I’ve had several dealings with this company and they’ve all been positive. They are responsive to newbies and respectful to the needs and request of experienced genealogists. In contrast to their competition, I like that they are transparent and desirous to give us the tools we ask for. And I like that they allow you to transfer your DNA results from AncestryDNA, FTDNA, and 23andMe for FREE. Glad you’re in the game, My Heritage. I wish you well. P.S. This is my unsolicited statement. I agree with the user below, the company is transparent and responsive to customers, thank you for that. Also thank you for taking the time to expand the number of reference populations and not just use the publicly available data like 23andme does. The fact that MyHeritage wants to have over 100 ethnic groups is awesome! It is saving me from buying a kit from LivingDNA which offers 80 different ethnic groups in their algorithm. SUGGESTIONS: I have written before in a private message to the company, but I figure I will post to the blog and see if other users echo my thoughts. 1) KEEP RAW DNA UPLOAD FREE for users and just give us access to matches. This will allow MyHeritage (MH) to grow its database without having to touch the DNA. Ancestry is at 2 million+ users in their database, 23andme is at over 1.2 million. Keep it free and let us all converge here and bring our DNA allowing MH to rapidly grow its database. Also allows us to get ourselves into multiple databases, which we appreciate. Those of us who test multiple family members to try and capture a more complete DNA picture really do appreciate this. 2) Only charge users who upload raw DNA small fees for different tools. Ex: $10/kit for chromosome browser of the raw data, another $10/kit for an ethnicity estimate of the raw data, etc. Let us customize our experience per kit. I think it is completely fair to charge for these tools especially the ethnicity estimate, which will be applying MyHeritage’s proprietary algorithm to analyze our DNA. 3) This is the most unique and important feature I am suggesting, give users 2 chromosome browser views. One view gives an ethnic chromosome browser view and the second is an ancestry chromosome view. 3a)The ethnic chromosome browser view is just like the service offered by 23andMe. It shows the different segments and the regions of the world/populations those segments come from. 3B) The second and novel feature is the ancestry view. This view allows the users to map out and label the DNA segments to determine what ancestors their segments come from. This is super helpful for users like me, who have tested other family members. I can label the DNA segments based on what segments I share with my relatives. This will allow us to further determine how we are related to unknown users. If they match me at my Paternal Grandfather’s segment, I have further narrowed in on the part of my family tree I need to look to find our connection. This is a completely unique feature that no other company is offering. It could help propel MyHeritage to become the premiere DNA testing company. This service definitely encourages users to test more of their relatives. By testing extended families, we can label different segments as coming from certain ancestors and enhance the use of genetic testing in genealogy. I am excited to receive my kit in the mail. Thank you for your concern! Our colleagues and lab are fine and there are no issues with the operations and processing of the DNA samples at the lab. Please be aware that there may be some delays due to the postal services and the current situation. I just received my DNA results and am floored. I have always been told about my German/Hungarian/French heritage. Seeing that I am almost 60% United Kingdom has me bewildered. Do the results get posted back to you or should I be looking online? Hello Bill. When the DNA test results are ready, you will be able to see these in your website at MyHeritage. Yes Maureen. You can upload and manage the autosomal DNA file of your niece, with her consent. I am having my 2 year-old daughter DNA checked through your service. Will my ( the father) as well as my wife’s DNA be projected, on my daughters results? Your daughter inherited half of her DNA from each of her parents, so her results will reveal about half of what you, and half of what her mother’s DNA tests would have shown.